Reconnections is a service to reduce loneliness and social isolation in Worcestershire, run by Age UK. Because everyone is different, no two people are lonely in the same way. We work with people to understand their individual needs and interests, in order to turn their life (and health) around on a meaningful, long term basis. Reconnections works with a number of brilliant local partners, that cater for everyone. From befriending to boules, lunch clubs to libraries, pubs to pets! We’re also supported by a number of amazing volunteers, whose commitment, friendliness and energy – not to mention huge enthusiasm for the service – make the service what it is. Reconnections starts with a call from our team to each individual, to introduce the service and get an initial sense of that person’s needs. Calls are then followed up by a personal visit, in which to further discuss the individual’s situation and start to co-develop an action plan. 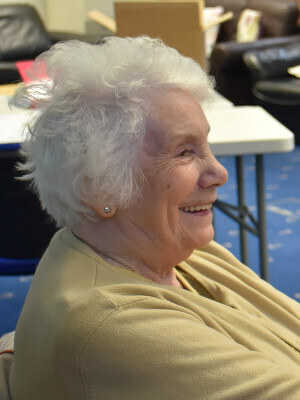 Support is fully tailored to each person, and can range from confidence building with the support of a volunteer, to making connections with people and groups with common interests in the local community. We want each person to find the right solution for them, and offer help to understand what options are in the local community as well as to connect with those appropriate activities or services. The Reconnections service is designed for those aged 50 and over in Worcestershire. People all over Worcestershire are seeing their lives transform by being part of Reconnections. And could you give us a hand? We’re so grateful to the brilliant volunteers already working with Reconnections, who are seeing their lives change too! If that could be you, give us a call. 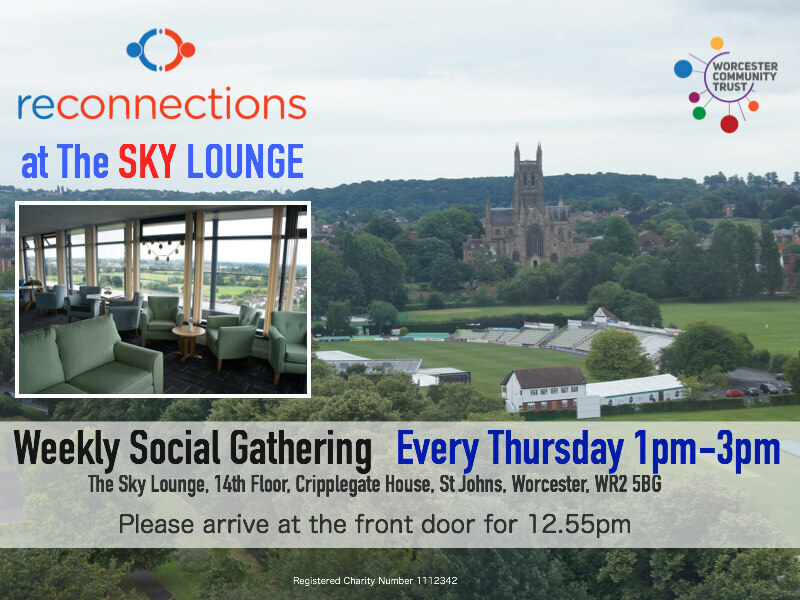 The Sky Lounge is in Cripplegate House, one fo the three blocks of flats so prominent in St Johns and runs between 1pm-3pm. Please arrive at 12.55pm to gain access into the Building with the whole group.